Here at Parsons' Prairie Farm we are committed to providing you with natural fibers from animals that are raised on our farm. Our fiber animals are loved, well cared for, in excellent health and have plenty of pasture to graze. We do all our processing at small mills across America, including our CSA Fiber that is processed at Shepherd's Mill, Phillipsburg, KS. At Parsons' Prairie Farm we can always tell you who your fiber comes from! Parsons' Prairie Farm has been producing fine natural fibers since 2007. We have recently moved to a 47 acre farm in the rolling hills between Jesse James Farm and Watkins Mill State Park in Kearney, Missouri. We currently have 35 alpacas, 14 chickens, 4 ducks, a cat named Nilly, a Great Pry livestock guardian dog named Balto and our sweet black lab, Shadow. At Parsons' Prairie Farm, you will find a wide selection of natural fibers to choose from. 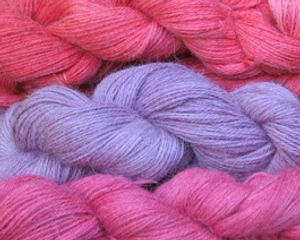 We offer natural, undyed rovings and yarn of 100% alpaca as well as other natural fiber blends. We are proud of our hand dyed rovings and yarns and the beautiful and varied colorways we have to offer. Enjoy browsing in our farm store!